Buffalo is upstate New York’s most famous city, with its proximity to the USA side of the spectacular Niagara Falls and its almost equivalently important claim to fame – the invention of buffalo wings. It’s an excellent base for travellers and a very pleasant destination in itself, with leafy parks and a beautiful location on the shores of Lake Erie. 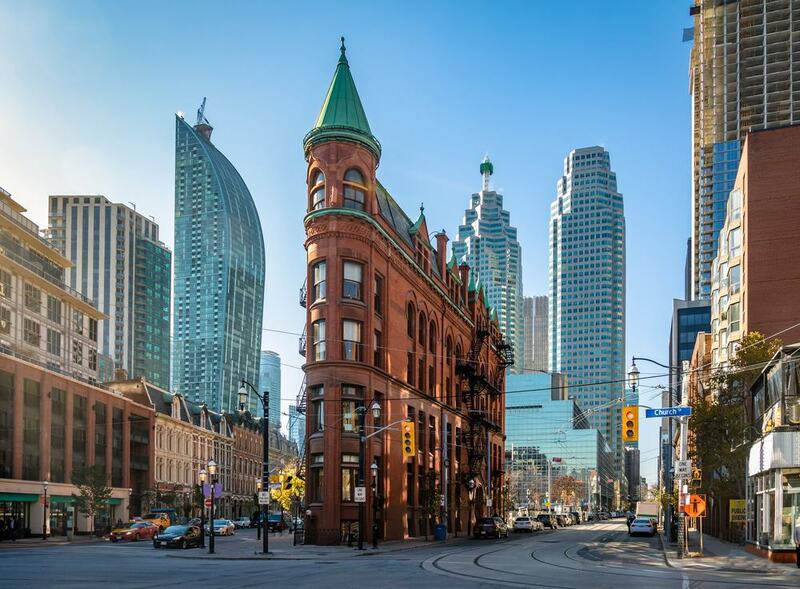 Avail yourself of the plentiful excellent hotels, restaurants and bars in the City of Good Neighbours, and then make sure to explore more of the state and across the border into Canada with these fifteen brilliant day trip options. 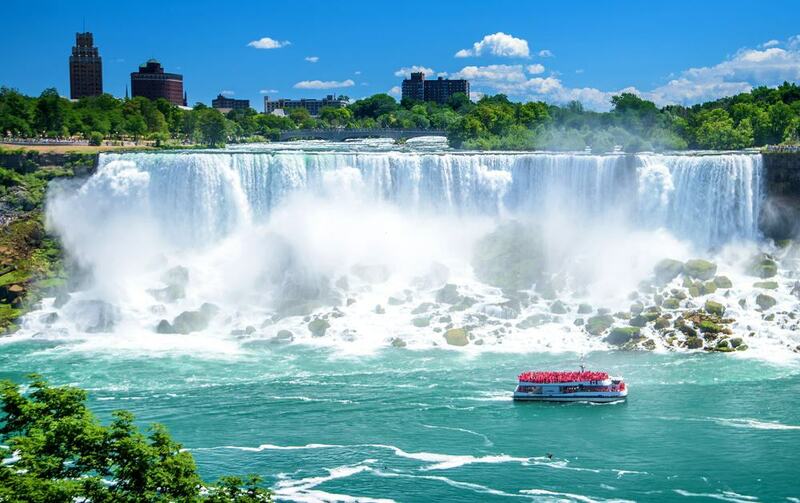 A list of day trips from Buffalo would hardly be complete without mentioning its most famous nearby attraction, Niagara Falls. Whether you want to ride on the Maid of the Mist boat, or simply observe from afar at the Observation Tower, nobody is going to deny that this is a once in a lifetime opportunity to see nature’s splendor in full force. Horseshoe Falls, Bridal Veil Falls, Goat Island and the Whirlpool are just some of the highlights of this magnificent waterfall. You can also head over to the Canadian side and check it out from there, if you feel like exploring a slightly different option. At just over an hour from Buffalo, the town of Ellicottville is a fantastic day trip option, especially for sport and nature lovers. It’s got hiking and biking trails galore, as well as a local ski resort, and the town itself is a pleasant place to wander around. 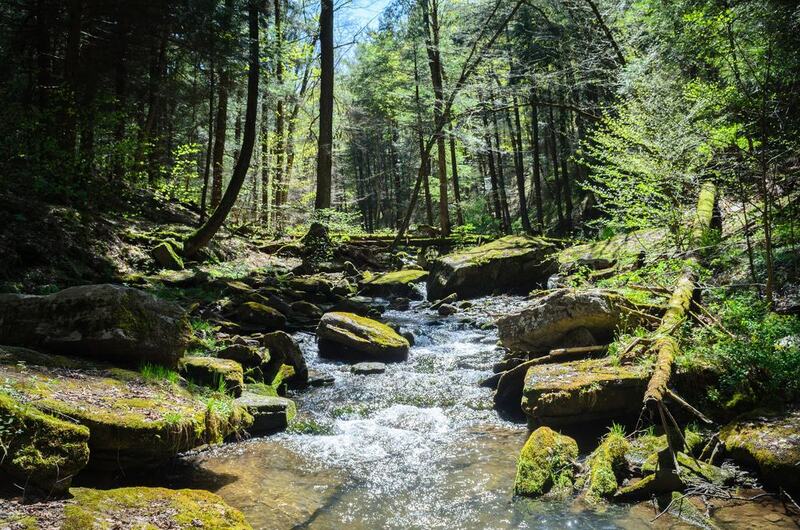 Head to nearby Allegany State Park for some challenging hikes and round the day off with a splash in the lake. Or perhaps head over to Holiday Valley Resort for a spot of golf. For a less active option, you can also visit the famous Salt Cave. 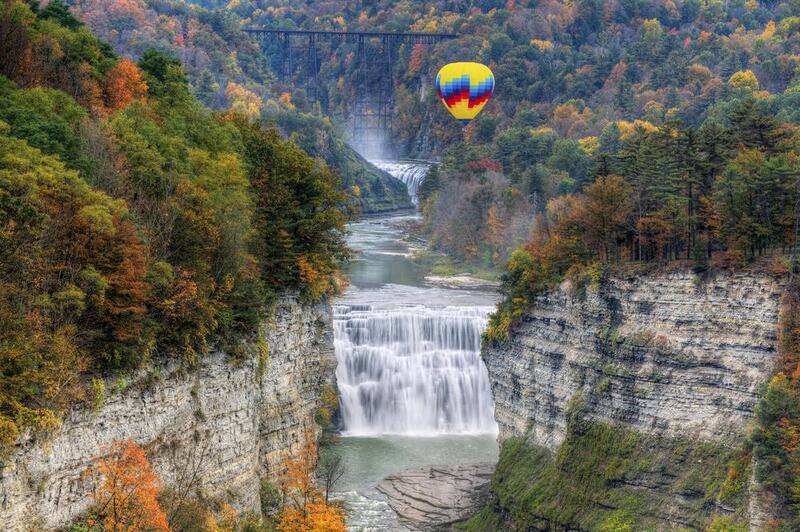 Another great option for nature enthusiasts is the fantastic Letchworth State Park, which has the accolade of being the number one state park in the country. There are so many ways to explore this place, with hiking trails criss-crossing the valleys, horseback riding on offer, and even cross country skiing in the right season. The “Grand Canyon of the East” has so many picturesque spots that it would be hard to see them all in a day. Perhaps a balloon ride from the company Balloons over Letchworth is your best option if you really want to get an overview. Wine lovers, this is the day trip for you. 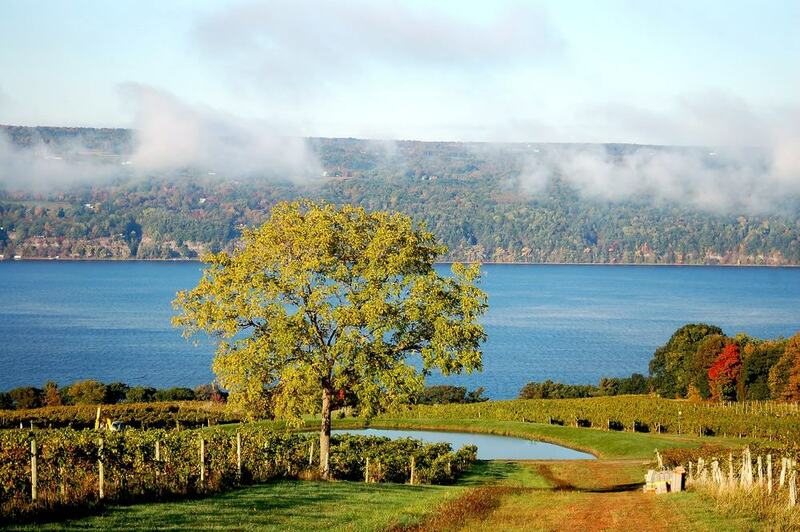 The Finger Lakes region is known for its excellent vineyards, as well as, of course, its many lakes and other bodies of water. Sprawling over 124-000-acres, Finger Lakes will certainly not disappoint in terms of available activities; it’s got everything you could think of, from kayaking and fishing to swimming. If wine is more your thing, you’ll still have plenty of options to choose from; there are more than 100 wineries spread out across the area. There’s also an up-and-coming restaurant scene to be explored. Buffalo is actually closer to Toronto than New York City itself, making this an excellent option for a trip away for the day. Shopping, wining and dining are the most likely ways to while away your day in Ontario’s capital – it has great options for all three. All the way from high-end designers to local brands, you’ll find something to suit you in the malls, and Toronto is a modern city full of great restaurants. Don’t miss a trip up to the top of the CN tower, either, it’s considered one of the city’s biggest tourist attractions. Located in Youngstown, New York, Old Fort Niagara has been a site of important military history for more than 300 years. Head north from Buffalo to get there, towards the shoreline of Lake Ontario. 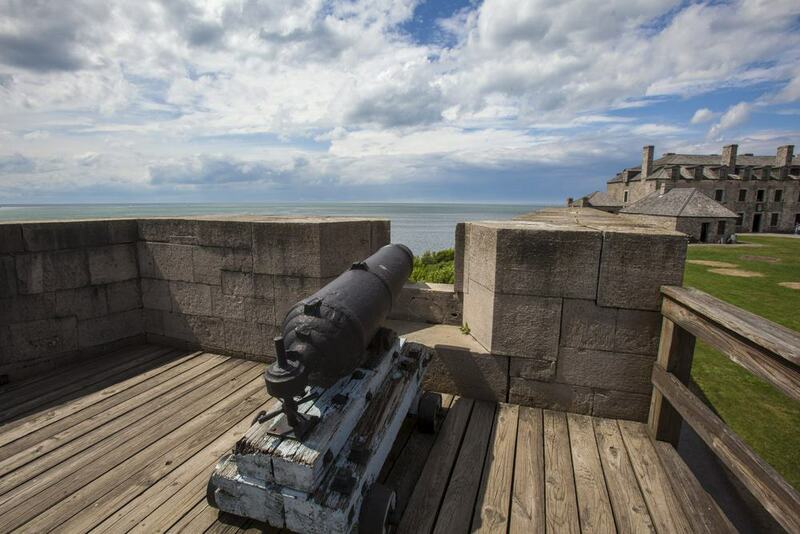 The fort was built by the French in 1726, but has endured frequent battles for possession, switching hands between the French, British and Americans throughout history. The War of 1812 saw the British win out, but at the end of that same war the Americans took it back. It’s a great spot for history lovers and an impressive construction even for those who have limited interest in military affairs. 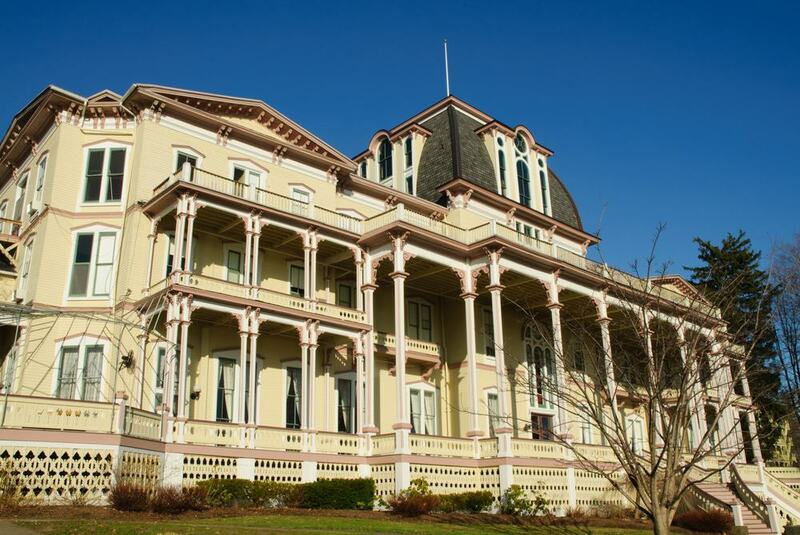 The Chautauqua Institution provides day trippers with a more intellectual diversion. An educational center located near the picturesque Chautauqua Lake in the southwest of New York State, Chautauqua hosts events centered on spiritual growth and intellectual discussion. You can head to the amphitheatre to take in a show, or simply stroll around the grounds of campus soaking in the atmosphere. It’s a tranquil place to spend a few hours of reflection. 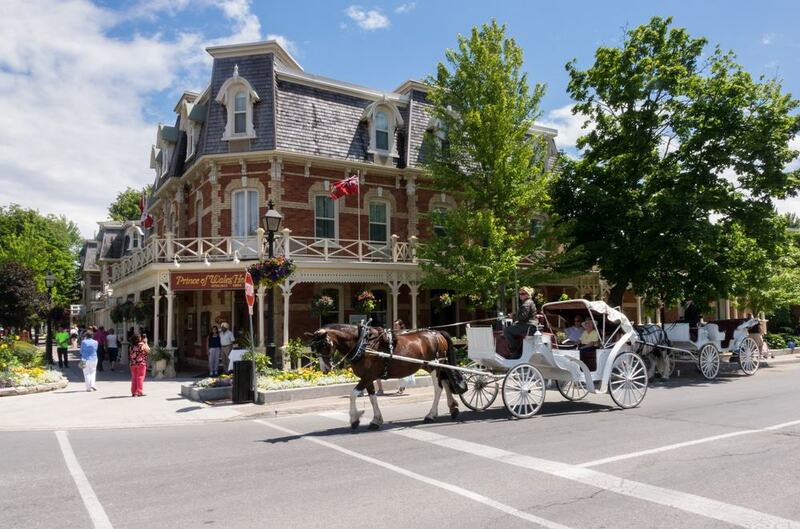 If you’ve seen the Falls before or you just feel like a day trip that’s a little different, then instead of heading straight there, take a detour to the charming tourist town of Niagara-on-the-lake. Located across the border in Canada, there are so many things to divert your attention here, from excellent wineries to lovely bike trails along the Niagara River. If you’ve timed your visit right during summer, you might also get the chance to hit the Shaw Festival – named after George Bernard Shaw – which celebrates theatre. Located just south of Buffalo is the fascinating Roycroft Campus in East Aurora, home to a dynamic art colony. The village prides itself on being the home of the Arts and Crafts movement, a direct reaction to the mass production of the Industrial era, and the products made there are simple, beautiful and handcrafted. There are fourteen buildings spread across the historic campus, so be sure to take your time looking around. 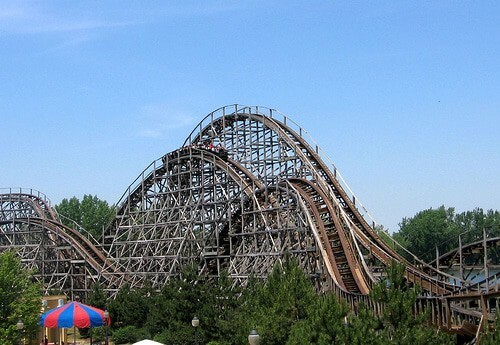 As New York’s largest water and theme park, Darien Lake is a brilliant day trip option from Buffalo, especially for those with a young family. Its seven different rollercoasters will be the kids’ highlight, but there are bumper cars, a Ferris wheel, and heaps of other rides to keep their attention throughout the day. It’s really a no-brainer, children love it and adults love the excuse to be children for the day. There’s also a Performing Arts Center next door, which has concerts that might be worth checking out if the kids somehow get bored of the rides. Perhaps a surprising entry on a list of day trips is the Corning Museum of Glass, but it genuinely is a highlight of the area. People come from miles around to see the spectacular exhibits displayed here, with information on the history, art and science of glass making, as well as demonstrations of how some of the pieces on display are made. 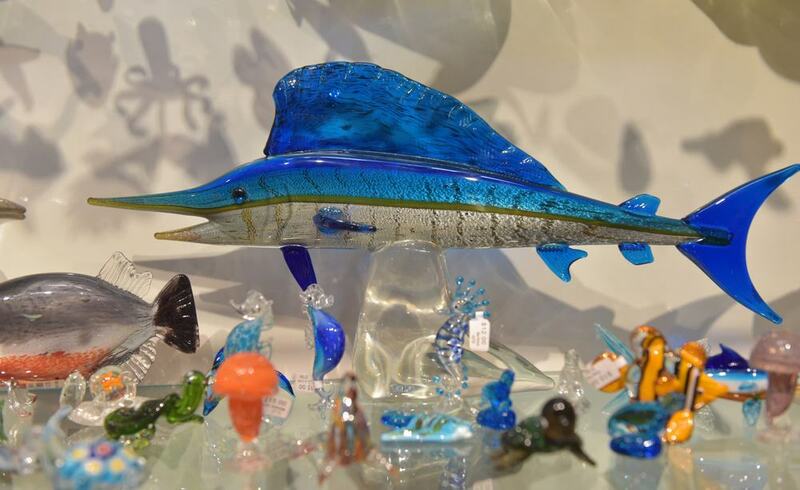 Marvel at the artistry of the craft through the many intricately designed show pieces, and perhaps visit the gift shop for a small souvenir of your trip. If you feel that you haven’t had enough museums for one day, you can head over to the Rockwell Museum of Western Art nearby, which has a range of exhibits displayed on both Native and Western American art. 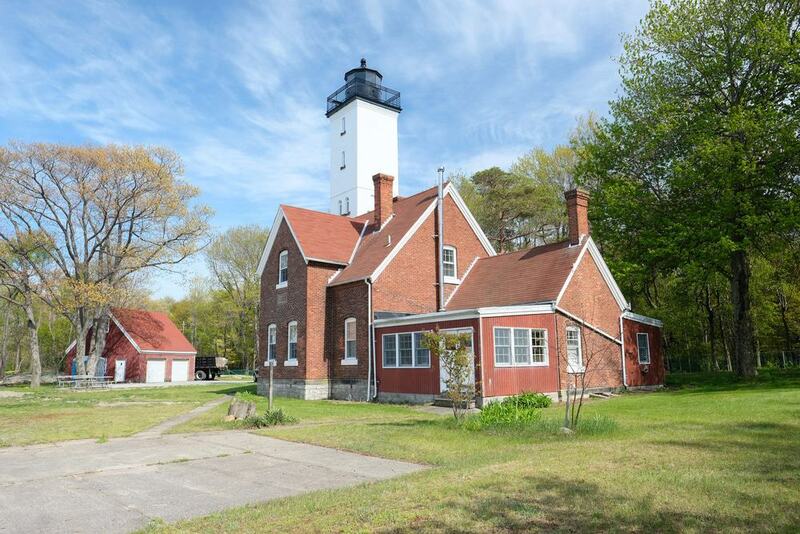 Another excellent family-centered day trip destination are the picturesque sandy beaches of Presque Isle, located on the shores of Lake Erie. The peninsula is located around a two-hour drive from Buffalo, but it’s well worth the journey, with a multitude of recreational activities on offer, from swimming and boating to hiking, biking and bird watching. Most equipment is available to rent, and a popular option is to take the kids out on the kayaks. It will be a long day, but a very enjoyable one. 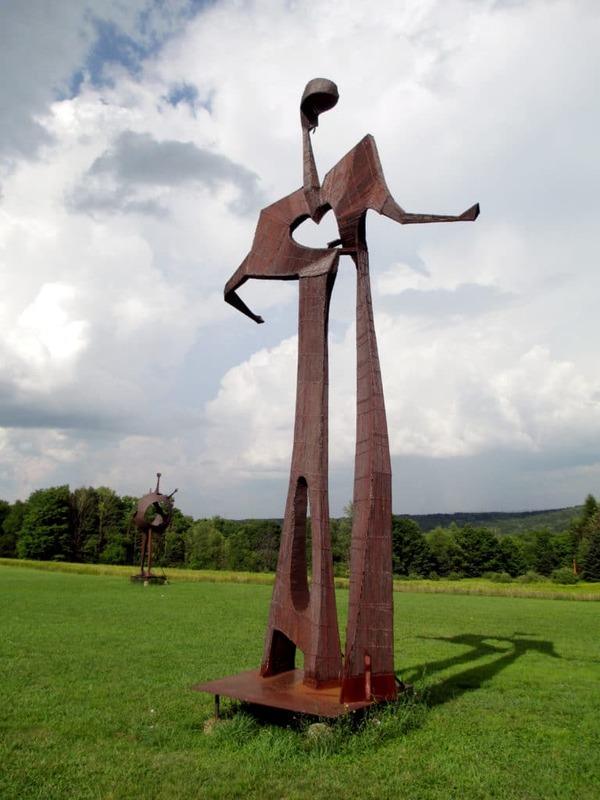 A unique blend of art and nature can be found in Griffis Sculpture Park, located just 45-miles from Buffalo. Get out into the fresh air and hike along the park’s many miles of trails while marvelling at more than 250 huge sculptures – many of which can be climbed on and interacted with. More than 400-acres of exploration through meadows, ponds and hiking trails will tire the kids out, and the artistry of the sculptures provides more than enough entertainment for the adults. 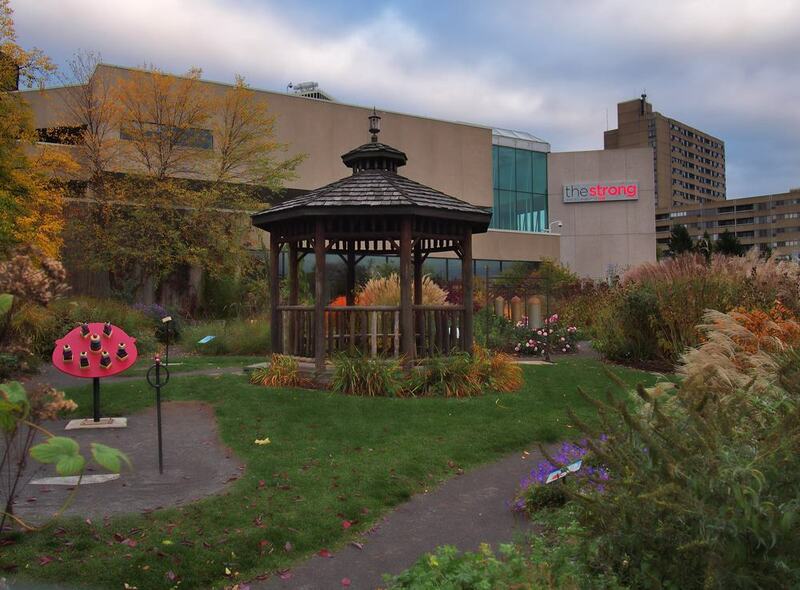 A fantastic rainy day option can be found in the Museum of Play in Rochester, New York State’s third largest city. There are interactive exhibits a-plenty, featuring ever-popular characters from Sesame Street to America’s favourite comic books. Explore the nation’s favourite toys in the Hall of Fame, or hop on the carousel or the passenger train. 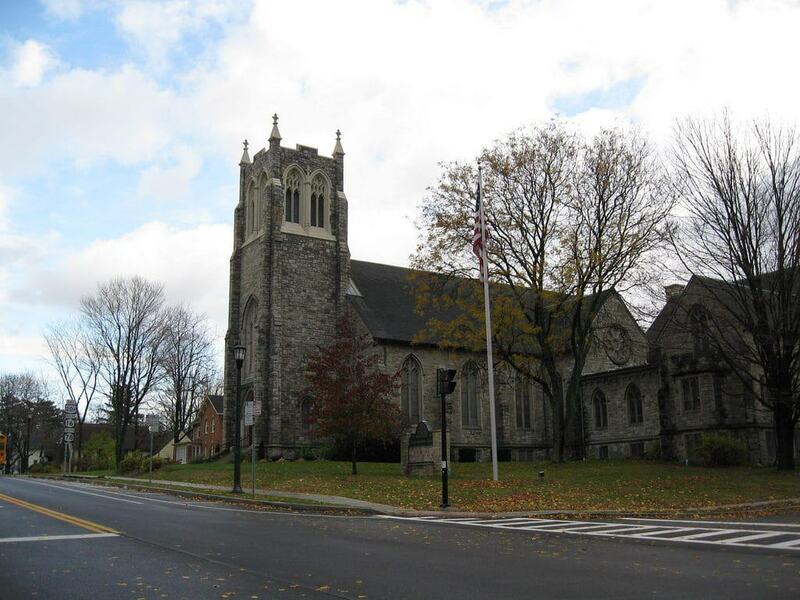 Rochester itself has some great dining options to enjoy once you’ve had your fill of the museum’s exhibits. If you’ve already visited the city itself, Toronto Islands provide something a bit different for your day trip needs. Catch a ferry over and take your bike if you have one; there’s no motorised transport on these islands. You can walk, bike and boat your way around (bikes can be rented if you don’t have your own), and there’s also a popular little amusement park. Pack a picnic to have after you’ve explored the sandy beaches that fringe the land, spotted the Gibraltar Point Lighthouse and had a look at Far Enough Farm.